Melissa Rivers is releasing a book about her late mother, Joan Rivers. Crown Archetype announced the 47-year-old television personality will publish the memoir "The Book of Joan: Tales of Mirth, Mischief and Manipulation" on May 5. The narrative will include anecdotes about the late comedian, in addition to jokes and advice. The book "will share funny, poignant, and irreverent observations, thoughts and tales about the woman who raised her," the publishing company said in a statement. Rivers added, "I wanted to write a book that would make my mother laugh. I hope it makes you laugh, too." Rivers is the daughter of Joan Rivers and producer Edgar Rosenberg, and co-starred with her mother on the WE reality series "Joan & Melissa: Joan Knows Best?." Joan Rivers died at age 81 in September after going into cardiac arrest during a routine surgery in August. Rivers and son Cooper Endicott accepted a Grammy award on her mother's behalf Sunday. 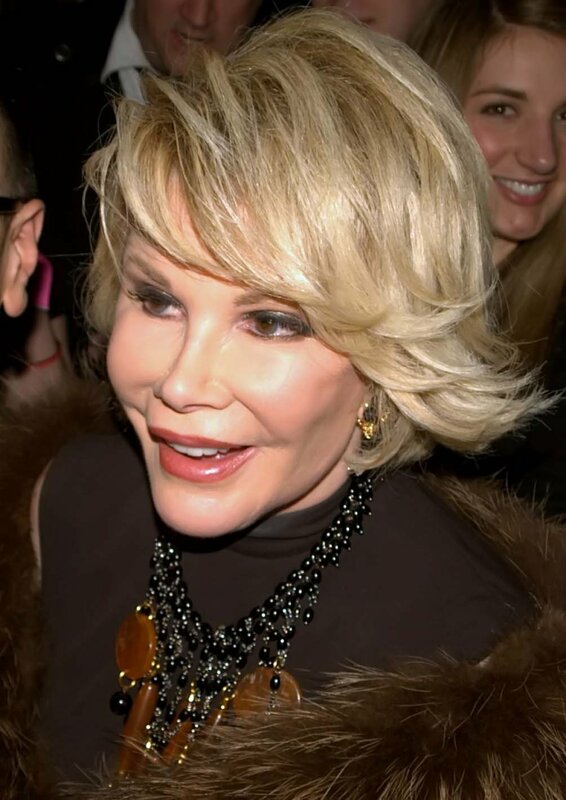 Joan Rivers posthumously won Best Spoken Word Album for her memoir, "Diary of a Mad Diva," and Rivers said the comedian would have been "thrilled" by the honor.